By combining the benefits of mentoring and outdoor adventure, Explore Austin provides underserved youth with hands-on learning experiences that build self-confidence and independence, and empower youth to successfully face future life challenges. The long-term mentoring program focuses on teambuilding and leadership training, and exposes youth to diverse and unfamiliar outdoor settings that impose unique physical, emotional, and mental challenges. The Search Institute’s 40 Developmental Assets framework provides a structured context for mentors and Explorers to have intentional, powerful conversations with one another. 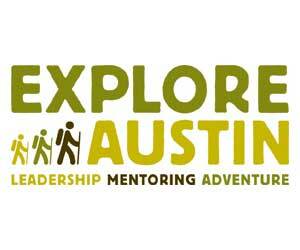 Explore Austin has provided its Explorers with over 60,000 hours of mentoring, 225 weekend outdoor excursions, and 22 weeks of backcountry wilderness adventures to date.